Our fitness community is growing and growing!!! Normally in November there is a bit of lull in previous years and a bit of industry tread BUT not here at Surrey Fitness Camps! 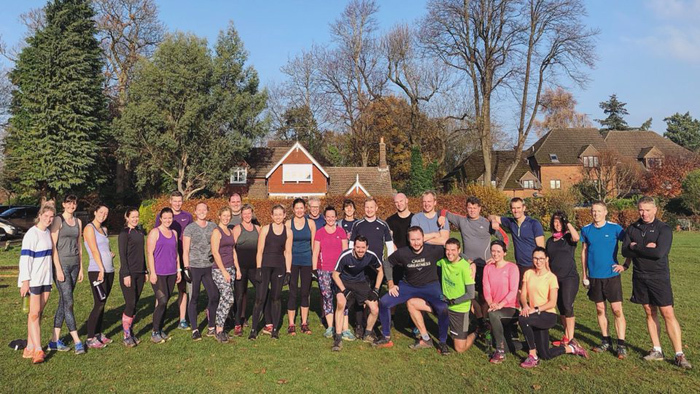 We’ve had 15 new members fully sign up to our Godalming and Haslemere classes, joining our unique fitness community! Shoutout and big SFC welcome this month to Mercedes, Daniel, Paulina, Steph, Tim, Dan, Jules, Marian, Bob, Christian, Georgia, Lucy, James & Sam! Our community is growing month on month and as we approach the end of 2018 we are at a record number of members! Never tried us before? Check us out and get in touch to get a free two-week trial!